What if playing cops and robbers could help inform how strategies to defend in the event of a real attack are built? 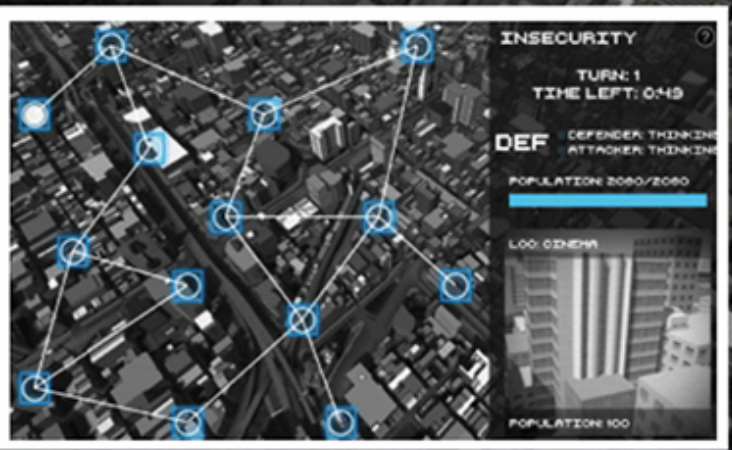 That’s the thinking behind the GRIST (Game Research for Infrastructure SecuriTy) project being developed at the Rutgers School of Engineering Department of Industrial and Systems Engineering. Gamification: We develop a multiplayer game to intuitively, yet efficiently explore how different adversaries may employ unanticipated attack strategies, and how preventative measures may be taken to avoid or minimize attack damage. Interested in testing the 2-D version of the game? Visit GRIST LAB. 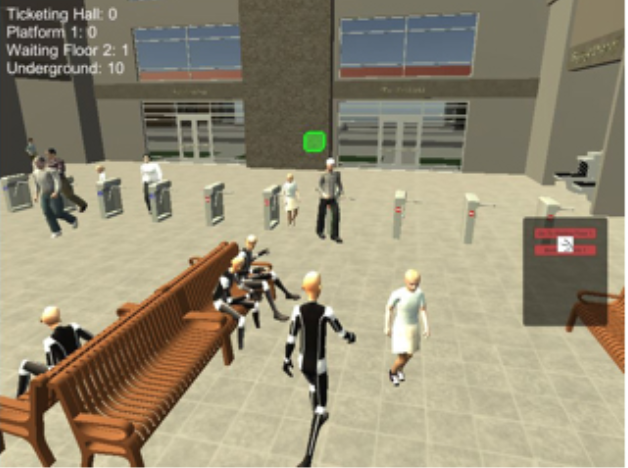 Currently we are developing a version within a 3D immersive virtual world that is populated with autonomous virtual humans to model the populace that inhabit these environments, which respond to the actions and interactions of the players. Players have the opportunity to play as adversaries to come up with innovative and unexpected new attack strategies, or as defenders to employ preventative strategies to foil the attackers' plans. Game-Theoretic Modeling: We develop AI algorithms for the players to respond to man-made disasters. We adopt a game-theoretic approach to model adversaries and their strategies, while accounting for the uncertainty and incomplete information that is inherent in adversaries and the unanticipated attacks they might employ.